Éamon Ó'CuÍv has been sacked from Fianna Fáil's front bench. 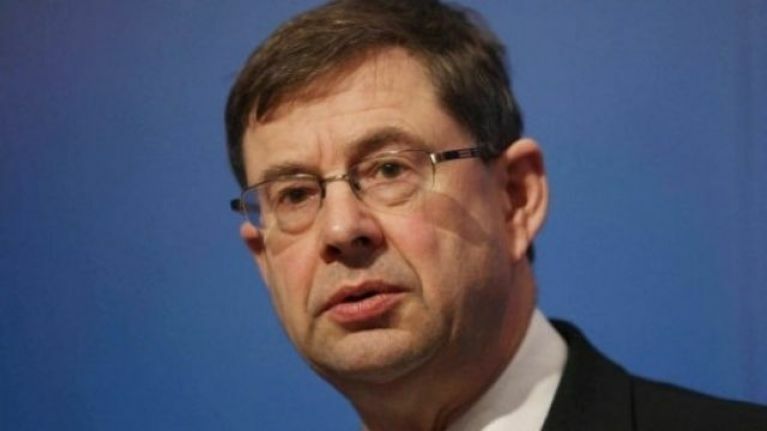 O'Cuiv, a grandson of Eamon De Valera, admitted that he had prior knowledge of an "unauthorised launch" of a candidate in Northern Ireland elections. O'Cuív was present at the election launch of councillor Sorcha McAnespy, a launch that the official party quickly distanced itself from. While Fianna Fáil styles itself as an "all-Ireland" party, it has no elected officials in the north. It now seems that Ó'Cuív has been punished for his role in the incident. In a statement posted on Twitter, the party wrote "Mícheál Martin met last evening with Deputy Éamon Ó'Cuív. During the course of that meeting, Deputy Ó'Cuív made it clear he was aware in advance of plans to hold an unauthorised launch of a candidate and agreed to participate in the event." "In light of this information, regretfully, Deputy Ó'Cuív's continued membership of the Party's Front Bench is no longer tenable. His portfolio responsibilities will be reassigned in the time ahead". Priot to the announcement, Ó'Cuív had held the role of Spokesperson on Regional Development, Rural Affairs and the Gaeltacht. O'Cuív has been TD for Galway West since 1992.